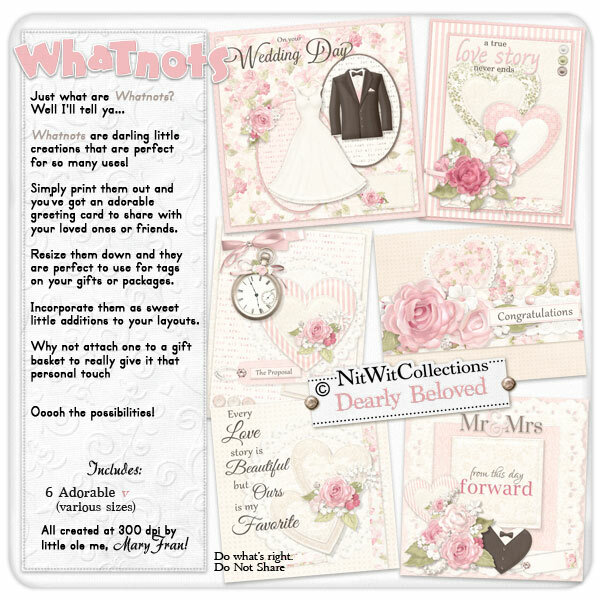 "Dearly Beloved" Whatnots are the perfect printable cards for a wedding, engagement or even wedding invitations! Choose which card conveys your sentiments, and don't forget to fill in the blank tags on many of them with a personalized date or bride and groom names. Simply print on an A4 or 8.5"x11" piece of cardstock, fold it over where the finished card ends and trim off the excess. Voila! P.S. don't forget to write you're sentiment inside!